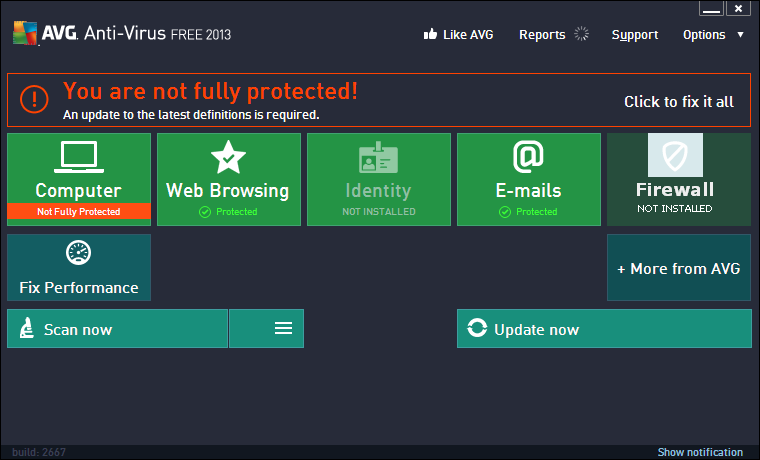 AVG AntiVirus Free 2013 is the newest update of AVG AntiVirus Free program, it equips with security features which is equivalent to the paid product. 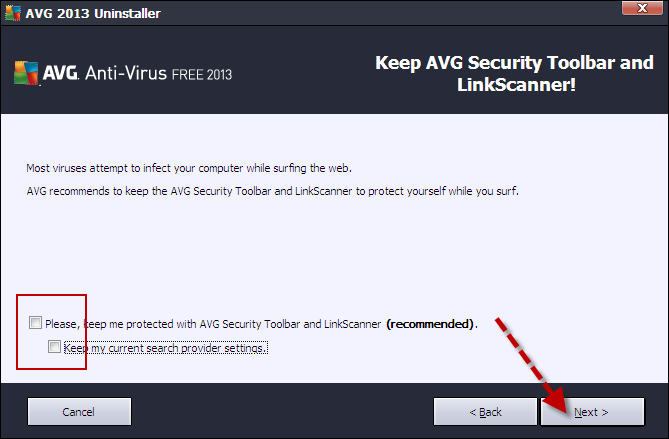 Due to reasons like file corruption, incomplete installation, or you simply want to try out another security product, you may want to remove AVG AntiVirus Free 2013 from your computer, if you don’t know how to do it completely or have difficulties in the removal, please refer to the below instruction. In the bottom left of your screen, find out the Start button, click it. 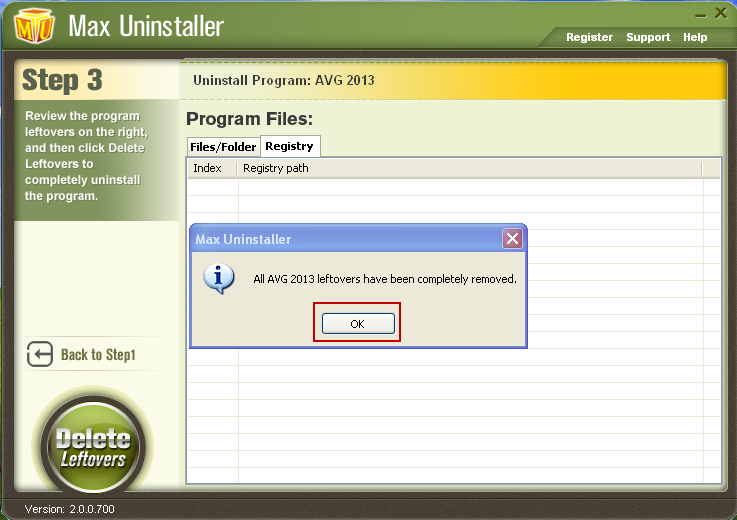 In the program list, locate and highlight AVG 2013, and then click Remove button on the right. 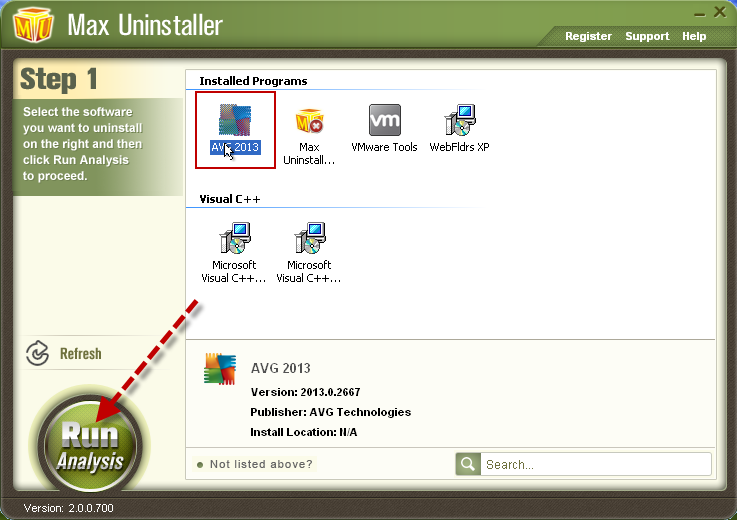 In the appeared wizard, click the third option of “Uninstall AVG”. If you don’t want to keep the AVG security toolbar, uncheck the two options showed in the below screen shot and click the Next button. In the next appeared window, check the two options of “Remove user settings” and “Remove virus vault contents”, and then click Next. If you have nothing to say, skip this uninstall survey by clicking “Next” button directly to start the removal. After the removal finish, click Restart Now button. In the search window, click “All files and folders” option on the right side. In the search blank, type in AVG. Click the search button below. After the search finish, press Ctrl + A to select all the found files and folders. Right click on them and select delete option. 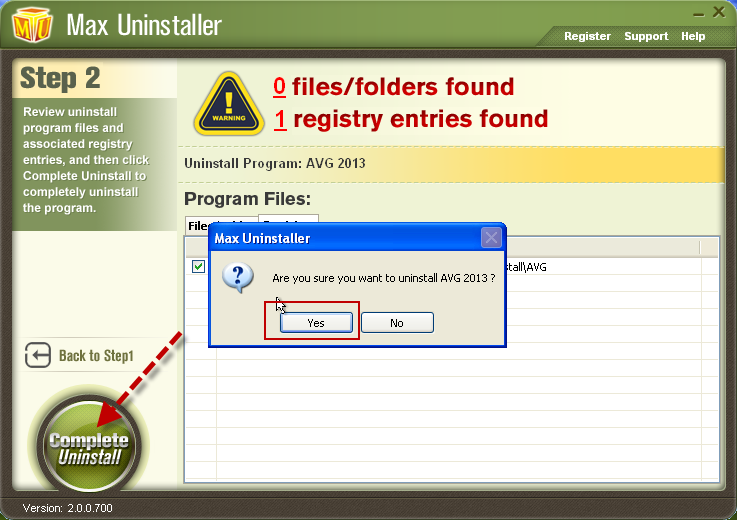 Sometimes users may encountered errors when trying to uninstall AVG AntiVirus Free 2013 and unable to proceed the removal, if you are having troubles with removing AVG AntiVirus Free 2013, Max Uninstaller is a good tool you can apply, not only it will remove all of the components of the target program, but also remove all the leftover files and registry completely, safely and automatically. 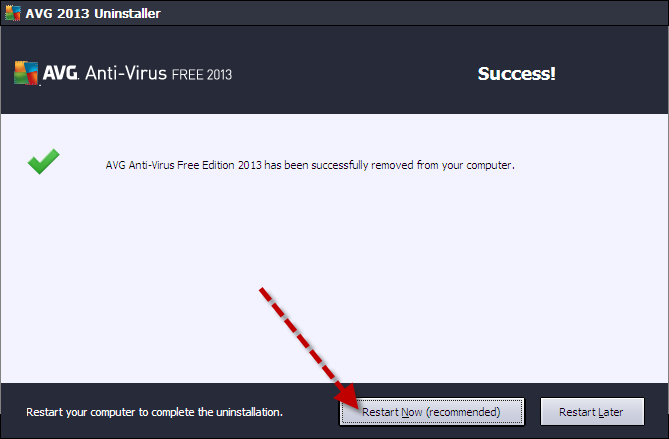 Step 1: Download Max Uninstaller here, install it in your computer. Step 3: After all program files/folders and associated registry entries are scanned out. 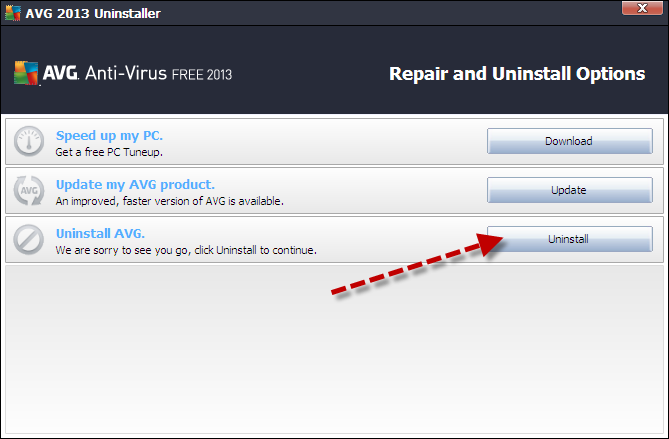 Click “Complete Uninstall” to start the AVG AntiVirus Free 2013 removal. Click “Yes” to confirm the action. 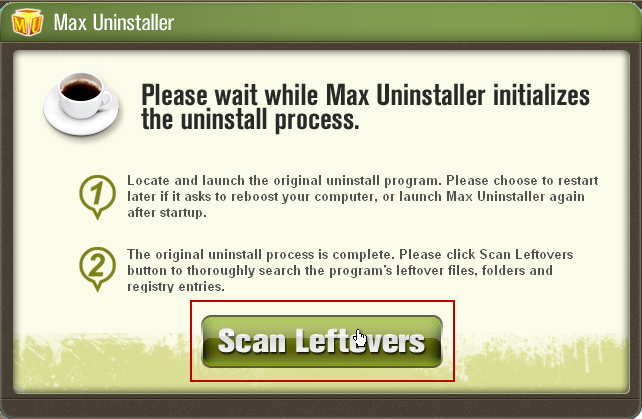 Step 5: Click “Scan Leftovers”, and Max Uninstaller will conduct a full scan on your computer for program leftover. Step 6: After the scan finish, click “Delete Leftovers” and “Yes” button to thoroughly remove all the leftovers. Step 7: By clicking the OK button. 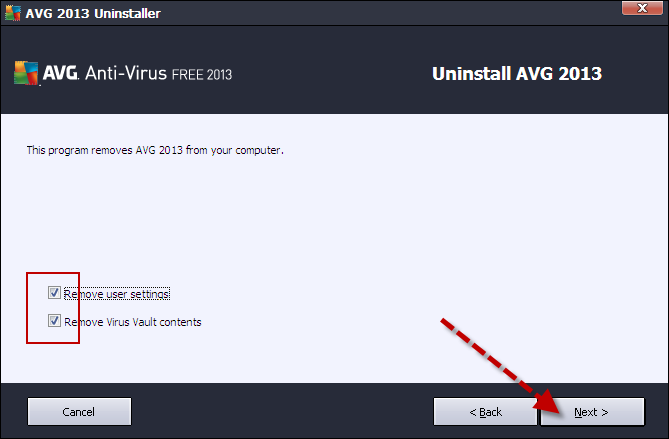 AVG AntiVirus Free 2013 and its related files and extensions should have been removed from your computer. 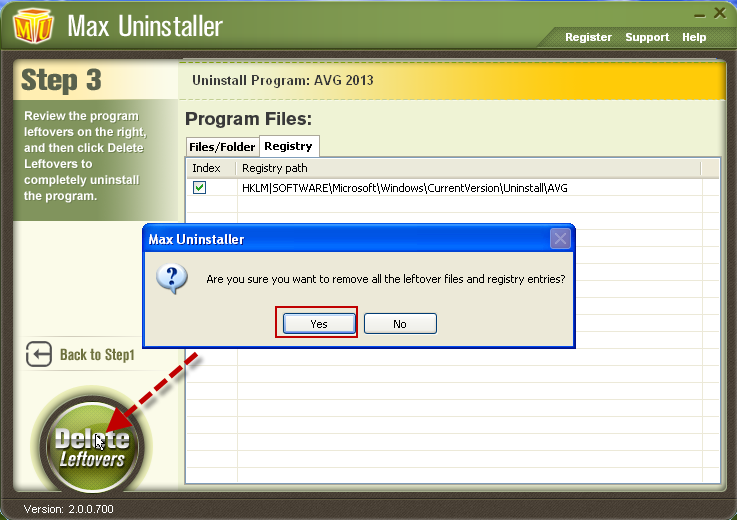 If you have trouble with uninstalling other problematic or stubborn programs/application/games, Max Uninstaller can also help you out. 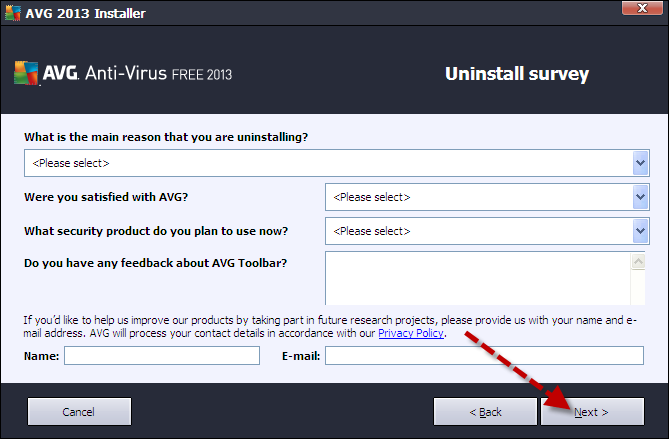 For any problems you encounter while using Max Uninstaller feel free to leave a message here and we will be pleasure to solve the problem for you.